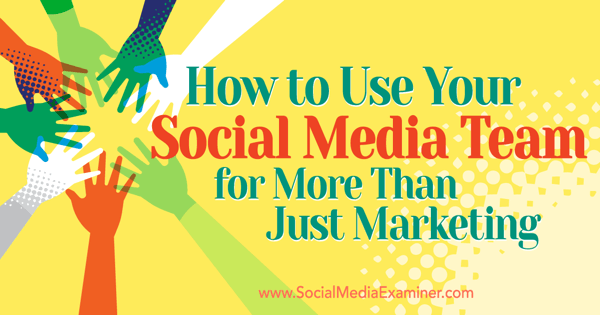 In this article you’ll discover four ways your social media team can contribute to the success of your business. 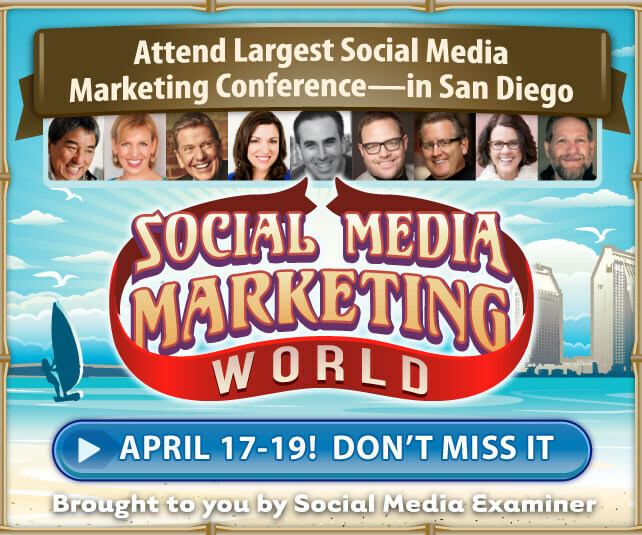 Discover ways to leverage the power of your social media team to contribute to success of your business. Ask for a briefing well in advance, so you can give your team time to get a firm grasp on the information that will be beneficial at the planning meeting. 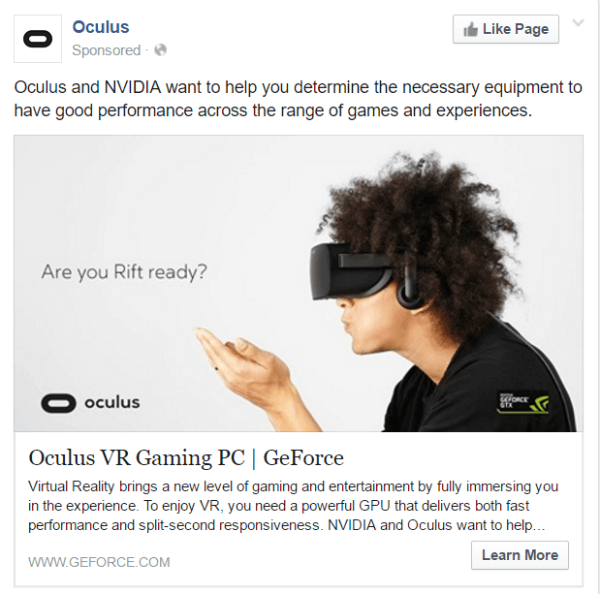 Test response to new product or campaign ideas against insights from your social media team. Image: Shutterstock. 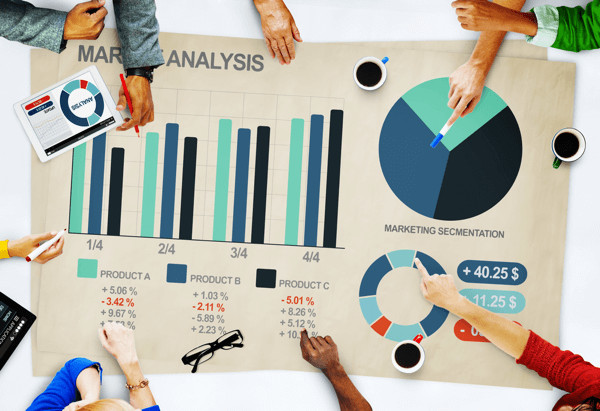 For example, if your business is planning a holiday campaign, have members of your team use social monitoring tools to conduct research that sheds light on successes and challenges with past holiday campaigns, the competitive landscape, and overall sentiment for a specific category or campaign. Or if a new brand position is being discussed, your community manager can reach out to key influencers who are active and loyal to test their perception of and receptiveness to proposed approaches. Additionally, your team can design a social media survey and target a larger pool of relevant audiences to test whether new ideas and messaging are on track and positively perceived. When integrated with other distribution methods such as programmatic media and search engine marketing, social media can drive awareness for new initiatives, such as a product launch. Your social team can get your new product or service lines in front of target audiences. Your social team can create visibility for the launch through paid social media ads to hyper-target potential customers, as well as through partnerships with influencers and brand advocates. To make working with brand advocates easier, you can use tools such as Crowdly to identify individuals who have previously engaged with your content beyond a “like,” so you can leverage them to reach additional audiences. Regardless of which methods you combine, remember to align your messaging and timing to drive impact. Brands spend tremendous resources building content, and often don’t prioritize distribution. Your social team is ideally placed to ensure this content is seen and shared by the right people at the right time. Your social team can give key content assets continuous visibility. Make it a priority to break long-form content or creative into short-form content snippets and shareable photos that will stay in circulation long after the initial publication release. Many brands have an opportunity to leverage social to build thought leadership, by way of brand-owned channels or through key internal leaders who can serve as industry and brand advocates. Authenticity can be tricky though. It starts by taking a non-branded approach where content is positioned around challenges and solutions, instead of around promotion. Social media team leaders can oversee thought leadership training and governance internally to ensure that when executives develop a social presence, it is properly managed and set up for long-term success. Collaborating with the communications team is instrumental to ensure there is a clear delineation of roles and responsibilities. 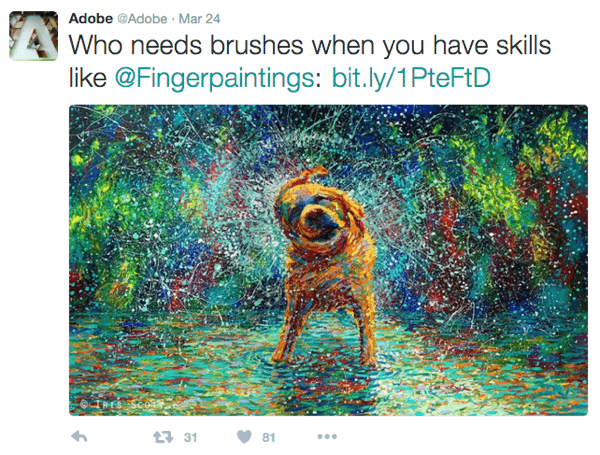 Adobe uses multiple social media networks to connect with creatives who use their products. Adobe uses LinkedIn to connect with creatives on a related, but professionally focused level. While social media is one component of the digital marketing ecosystem, insights that can be generated from consumer chatter are immense and can significantly impact business and brand decisions. By being proactive and bringing this knowledge to the broader marketing team, social media team members can be positioned as instrumental, valuable assets to the brand at large. What do you think? Does your social team take part in any of these activities? Please share your thoughts in the comments below.